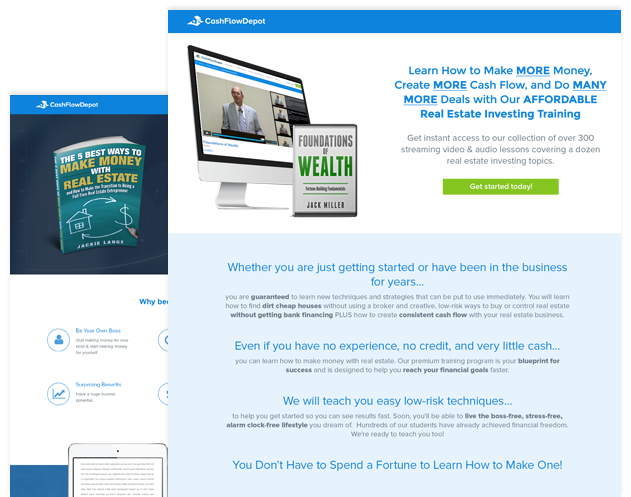 CashFlowDepot provides resources that help entrepreneurs learn how to generate money and be successful in the real estate industry. Cultura Interactive was hired to create a custom WooCommerce website with multiple features such as eCommerce integration for digital and physical products sold online, memberships and subscriptions, a complete digital library platform stocked with educational materials, and an online community for users to connect and share ideas all in one place. Branding is key when it comes to redesigning an entire new concept for a website. Part of this process involved the creation of a new logo that was not only visually appealing to visitors, but also represented the company’s values and services at a single glance. After several designs, our creative graphic design team crafted a brand new logo that successfully achieved their business goals and matched the overall theme of the new website. 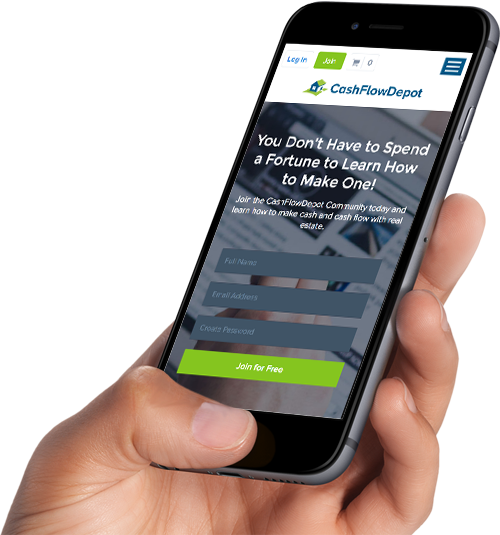 Since CashFlowDepot provides a substantial library of digital content, we wanted users to have a hassle-free experience. With the customization of the WooCommerce Membership plugin, users are able to login and easily access all of the content that is available specifically for the level of membership they currently have. In order for users to access exclusive information, a premium membership subscription is required. For this reason, we implemented and customized the WooCommerce Subscription plugin. This allows you to create and manage subscriptions with recurring payments – which in turn captures more residual revenue that our client can track and count on. 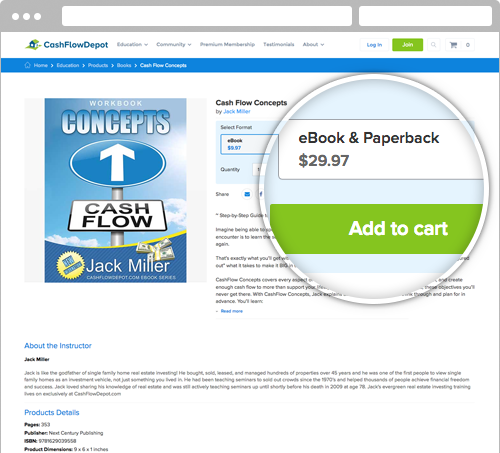 CashFlowDepot offers users the option to purchase educational material such as books and eBooks directly from their website. 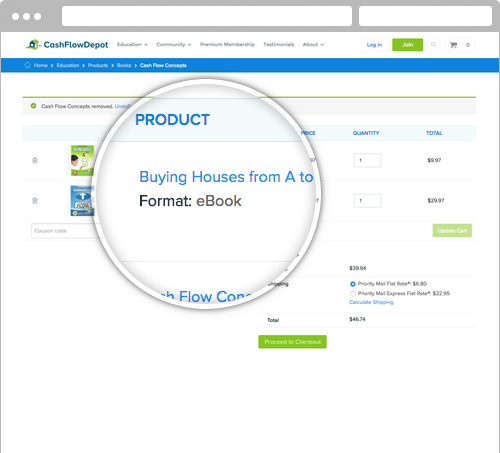 Through custom code, our WooExperts were able to add custom attributes to display different purchase options. With this in mind, our team successfully incorporated customized attributes to resemble a similar product page as seen on Amazon. Users are prompted with book descriptions, and can choose from a variety of options such as paperback, hardcover, and/or eBooks. 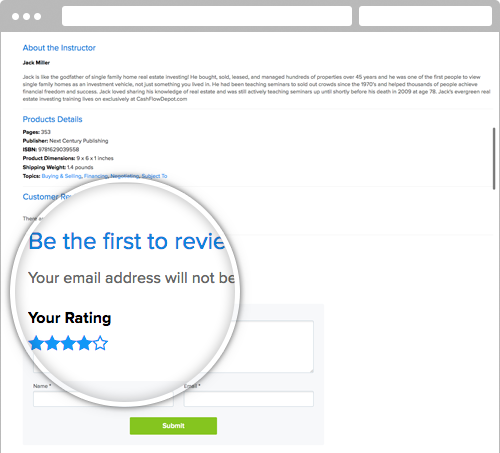 They are also able to read customer reviews, leave a rating and even submit a review for others to see. With a website full of educational materials, we created an interactive social network where users can engage and share ideas, grow their knowledge, and increase their confidence as successful entrepreneurs. This is why we integrated an online community using bbPress. Users can easily create and participate in discussions, and ask questions to get immediate answers from experienced professionals. Who says an educational platform has to be boring? 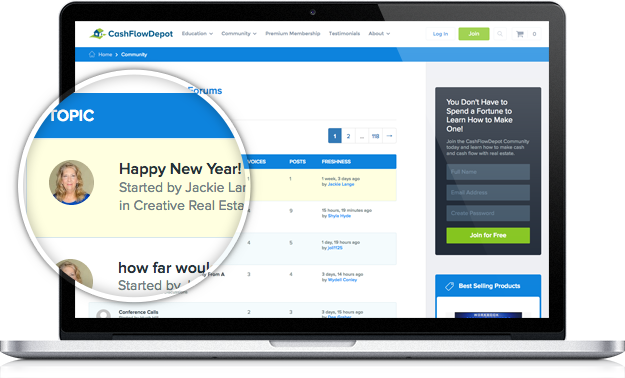 CashFlowDepot needed a website that could not only sustain all the necessary resources for their members, but can also truly represent the company as an innovative hub for leading information in the real estate industry. Our design team knew this project would be like no other, and we were determined to deliver a concept that exceeded our client’s expectations. With an inviting color scheme and strategic custom design, we applied our expertise to get into the minds of the end user and created a welcoming environment for both our client and their visitors for an optimal, user-friendly experience. Like in every project, we don’t just focus on user experience for the end user. We also keep the client CMS user experience in mind, too, by building out WordPress to make it easier for our clients to add, edit and manage content. Cultura Interactive created custom landing pages using Visual Composer for WordPress. This plugin allows our client to easily build an intuitive layout for fast and effective marketing campaigns. It’s as simple as drag and drop – with a few extra custom features. Computers aren’t always readily available when we need them, which is why we created a mobile-friendly version of CashFlowDepot. Since the website provides a significant amount of educative resources, it was particularly crucial to scale the site down to mobile without sacrificing usability, design or functionality. It’s a seamless transition from desktop to mobile. From logging into their accounts to accessing files, downloading ebooks and watching videos, users will enjoy the same user-friendly environment all in one simplified interface. Cultura Interactive exceeded all of our expectations. From the planning and design phases, all the way through the coding and launch phases – Cesar and his team had excellent attention to detail and took great pride in what they were doing. We are extremely happy with what they delivered.